Welcome! 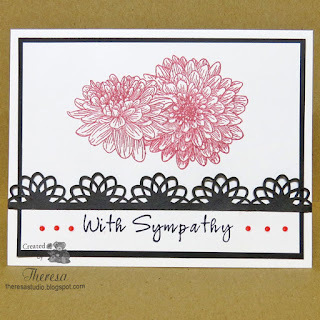 The challenge at Stamp TV Mix It Up Monday is make a sympathy card. 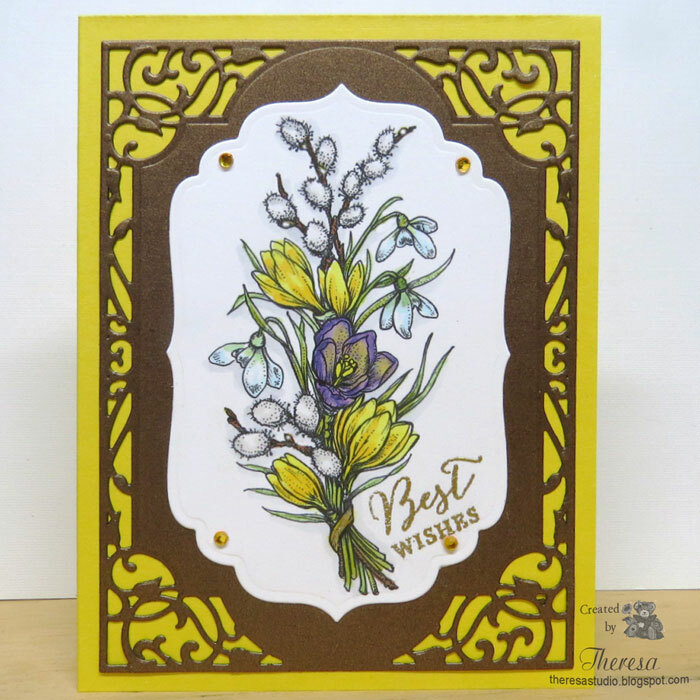 I used GKD floral image from Hello Friend and sentiment from Stippled Nature to create this card. Added a die cut from GKD and dots of Cherry Red Nuvo Drops. Used Memento inks. 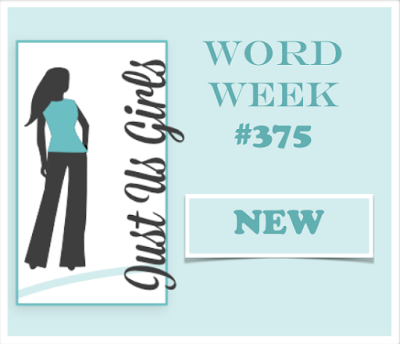 Die Cuttin Divas: Challenge #302 Anything Goes. Border Die cut in Black CS. Welcome! I was inspired to make this card after watching a Jennifer McGuire video about Distress Ink resist embossing. I made this card with some old Flourishes stamps From the Heart and Cherry Blossoms (Marcella Hawley). I stamped the Cherry Blossoms with Versamark and embossed with clear EP on white CS (not the usual Glossy) and sponged with several Distress Inks. 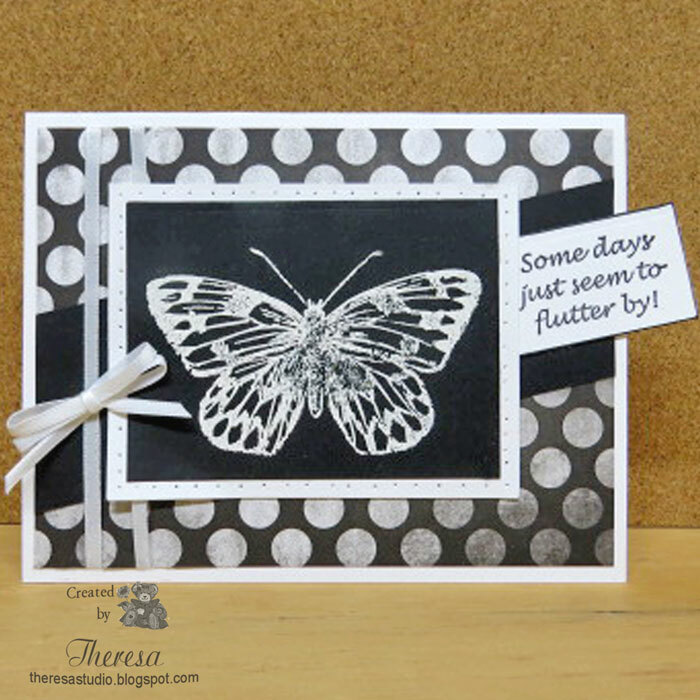 I Case'd her "lopsided" (her words) design using white CS cut at an angle and stamped the sentiments with Distress Inks. I even added some Nuvo drops like she did. My addition was die cutting a heart in this layer and adding a smaller die cut heart. I used a Pink Card base to finish. 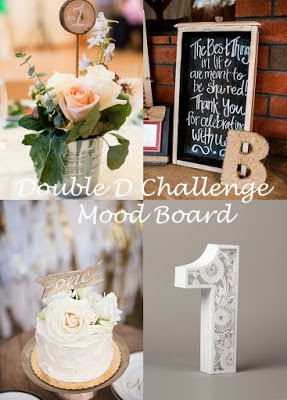 Mod Squad Challenge: Show Your Love. Hello! 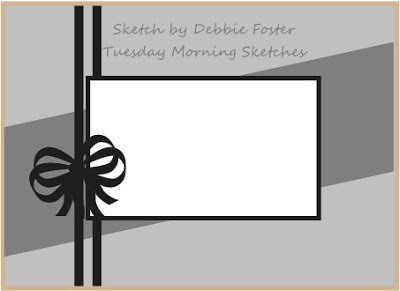 My card today is for a Sketch challenge and a Black and White color challenge. I stamped a GKD Butterfly stamp on Black CS with Versamark and White EP. I cut with a die and attached to a White Mat cut with a die which I added piercing to before removing the die. 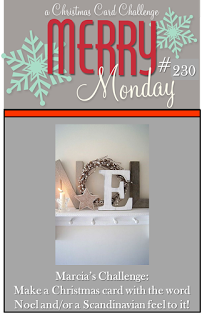 Check out how to add piercing on Heather's post at The House That Stamps Built. Finished card with White card base, a layer of MME Dotted Pattern Paper, strip of Black CS, white ribbon, and a sentiment from Repeat Impressions. Hello! More snow on the way?, I think. Playing with an old snowman stamp from Heartfelt Creations and added in assorted snowflake stamps....some old and new ones. The sentiment was a freebie in a magazine that I received Christmas. Used Memento Tuxedo Black ink, Versamark, Copics, Wow Silver EP, Nuvo Crystal Cherry Red and White, White CS and a GKD Blue CS. 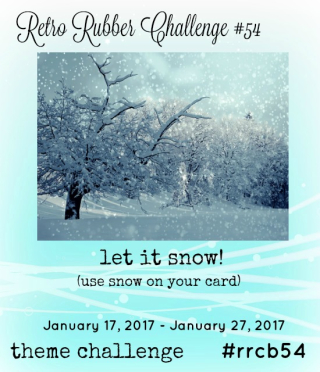 Retro Rubber Challenge: #54 Use snow on your card. 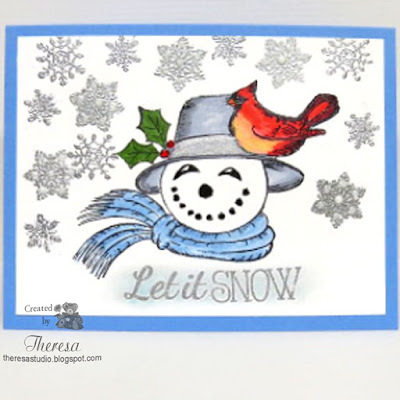 The Snowman stamp is from Heartfelt Creations Snowmen Melt Your Heart set that I have had since 2013 or earlier. Simon Monday Challenge: Simon says use something with wings. 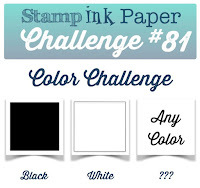 Addicted to Stamps Challenge: #140 Baby It's Cold Outside. Hello! 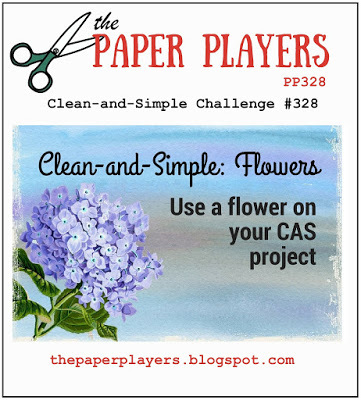 Just doing a quick post of a CAS card made for some challenges. The stamps used are from Gina K Designs and colored with Copics. 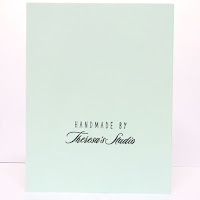 Used cardstocks from stash and Memento inks. CAS Colours & Sketches Challenge: #207 Sketch shown below. 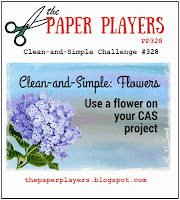 The Paper Players: PP328 A Clean-and-Simple Challenge from Jaydee with a Flower. Hello! We have had a brief reprieve from cold weather....can you believe it was in the 60's in Ohio this weekend? But we should have more cold like I'm capturing in this card. I stamped Repeat Impressions Cabin stamp on white CS with Memento Rich Cocoa. I then used masking and stamped the trees with GKD stamp from Northwoods 2( just received this with my purchase using the GC that I just won) using Memento ink London Fog. Sponged some Memento Gray Flannel ink on sky and added some Perfect Pearls to create a wintry looking sky. 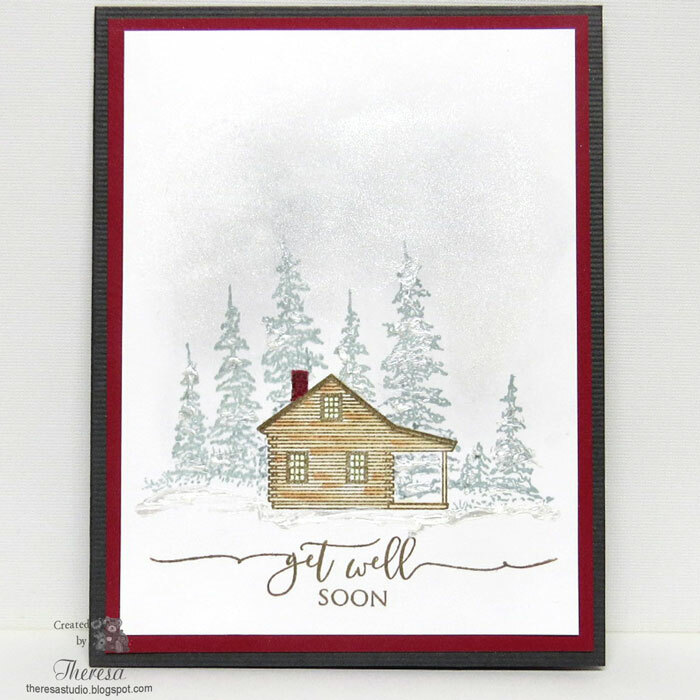 Finished with a Get Well sentiment from GKD Scripty Sayings 2 in Rich Cocoa ink. And also added some Liquid Pearls for snow. Used Wine mat and Gray Card Base. NBUS Challenge: #9 - Used just received new Trees Stamp from GKD and a never before used GKD Sentiment. Love Darnell's Never Before Used Schtuff challenges. 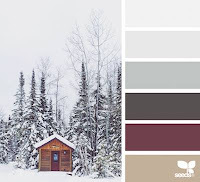 The House That Stamps Built: Inspiration Palette Challenge J1817 Shown Below. 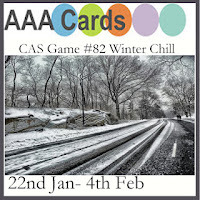 House of Cards: Group 3 January Challenge -Add a building/color palette. 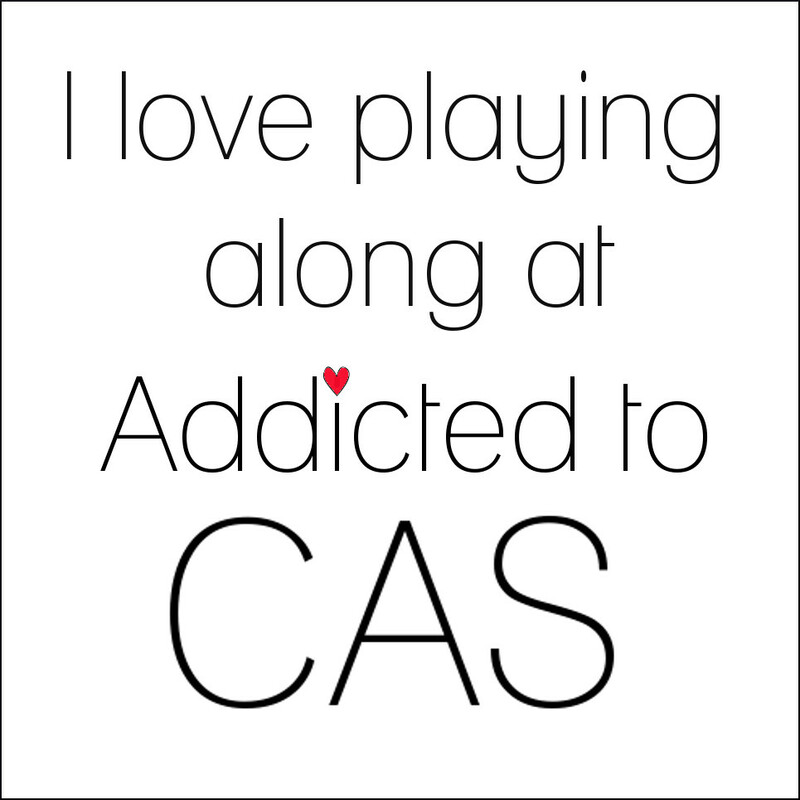 Did Both. 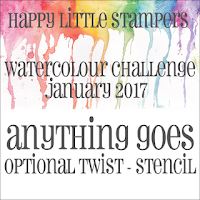 Color palette is same as THTSB Challenge. Not sure of the protocol when 2 challenges have the same inspiration, but I am taking it as a 2 for 1. Anyone know if that is allowed? 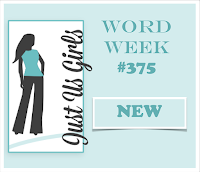 Mod Squad Challenge: Sequins, Rhinestones, Glitter- Bling is the challenge. Hello! 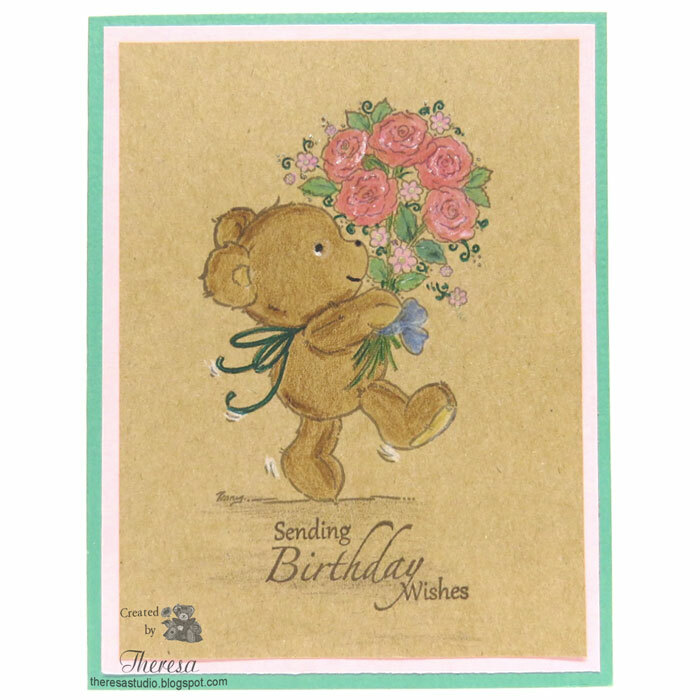 This sweet card uses a Penny Johnson stamp Bear Flowers. I stamped the image on Kraft CS with Memento Rich Cocoa ink and colored with pencils and odorless mineral spirits(OMS). I added a GKD sentiment using the same ink. 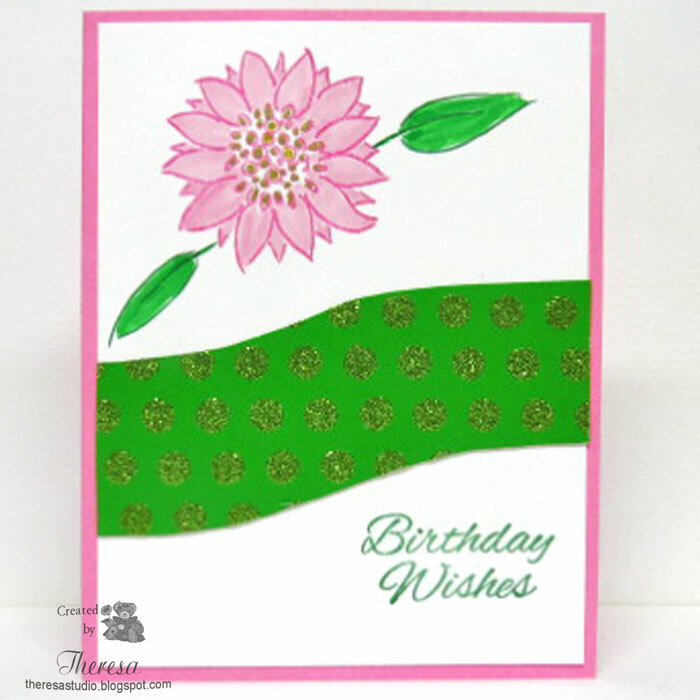 I simply framed with a Pink CS mat and then placed on a textured Green card base. I found this forgotten unused stamp in my studio when searching for something else. 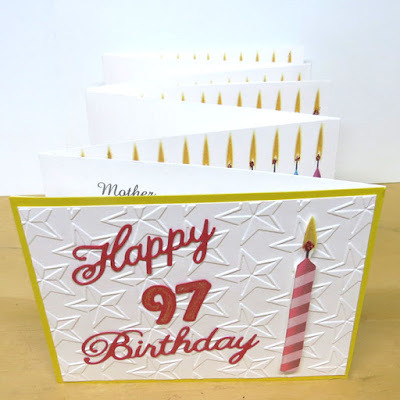 This will be another card for my Mother who is 97 years young Friday. NBUS Challenge: #8 Use Never Before Used Schtuff. Darnell wants us to use Colored Pencils with Kraft. Hello! 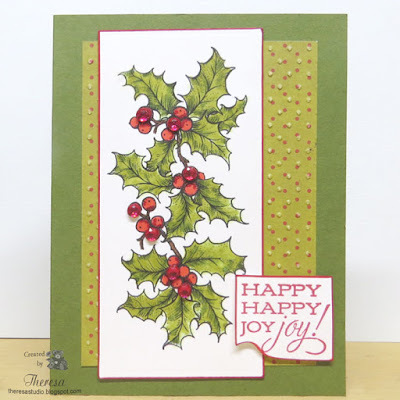 My card today features Power Poppy Hollyberries digital stamp that I printed and colored with Copics on white cardstock. I edged the image with a Red Copic marker and placed on a panel of Pattern Paper (Crate Paper Peppermint pad) embossed with CB EF Swiss Dots. I placed this on a Fresh Asparagus card base and added a Power Poppy sentiment from Dahlia set. This card could be used for Christmas but also for a happy occasion such as a birthday. I added 7 Red Rhinestones for some sparkle and texture. 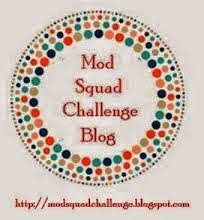 Mod Squad Challenge: The challenge is Bling. My choice of bling is rhinestones. Hello! Today I have the longest/widest card that I have ever made. I created this birthday card for my Mother who will be 97 years young on the 20th...... a candle for each year! 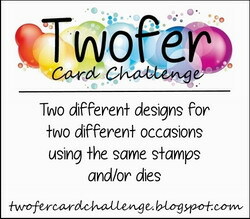 I was inspired by a card that I saw at Fab 'n' Funky challenges made by Ginny. 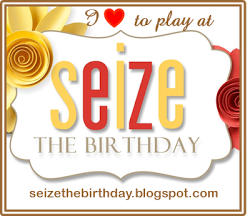 See her card on her blog My5Bratz Creations here. 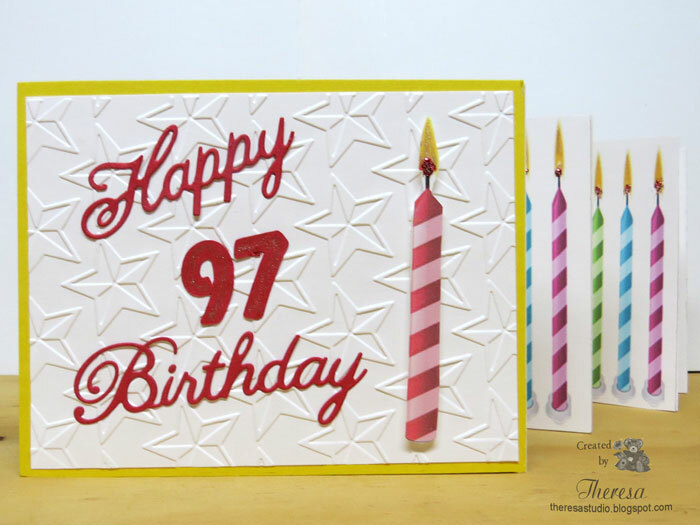 I must admit I took a short cut and printed my card using Photoshop and Print Shop instead of cutting the candles like Ginny. 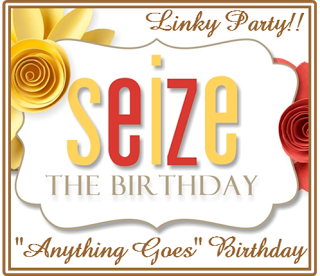 I used Cheery Lynn Dies for the Happy Birthday and cut the number 97 with my Cameo. After assembling the card, I added some sparkle to each candle with Clearstar pen and Red Glitter Stickles. Fab 'n' Funky Challenges: #333 Birthday with a Number. Thanks for the inspiration, Ginny! Shopping Our Stash Weekly Challenges: Stickle Me Elmo! Use Stickles or a similar product. Used Clear Star Pen and Red Glitter Stickles on candle flames, all 97! 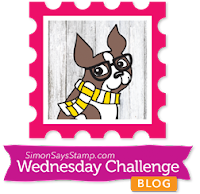 Simon Wednesday Challenge: Simon Says Winter Birthday. 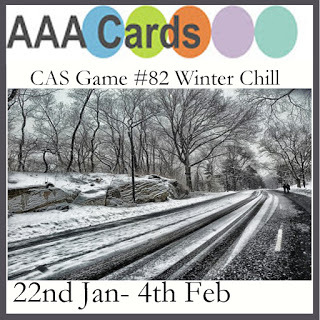 I may be "stretching" this card to fit a Winter Birthday challenge but the birthday is in the winter and all those candles warm things up. Hello! 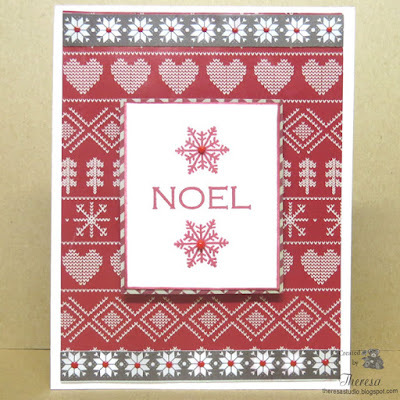 The challenge at Merry Monday is to make a card using the word "Noel" and/or a Scandinavian feel to your cards. I found these pattern papers in my stash that I thought had a Scandinavian feel and teamed them with a GKD stamp Noel that I used with a snowflake stamp using Memento Rhubarb Stalk ink. I finished by adding dots of Red Berry Nuvo Crystal Drops to the snowflakes. Hello! 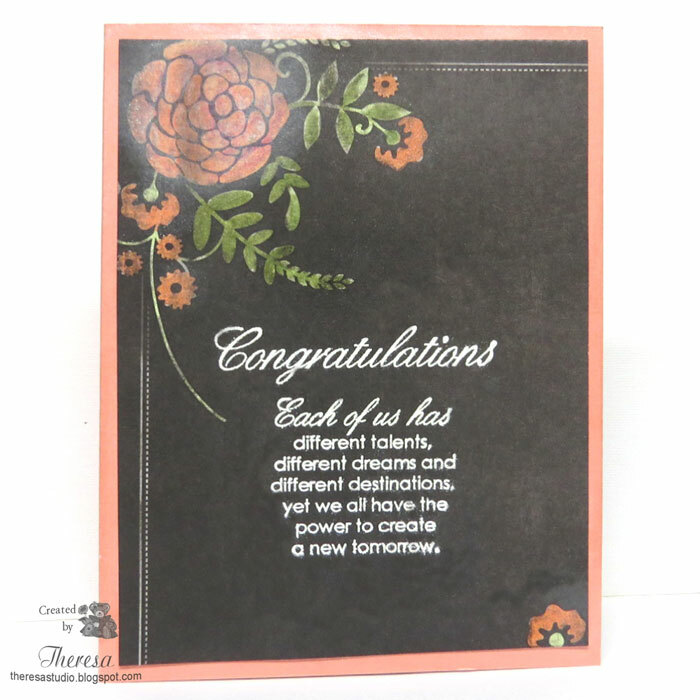 My Congratulations card today is made with a Pattern Paper from MME Chalk Studio Pad and stamps from GKD Inside and Out set. I colored the flower image with Copics and used Versamark with White EP for the words .....wanted a look of a Blackboard. Placed on a coral CS that I edged with Perfect Pearls to soften the color....hard to see in the photo. 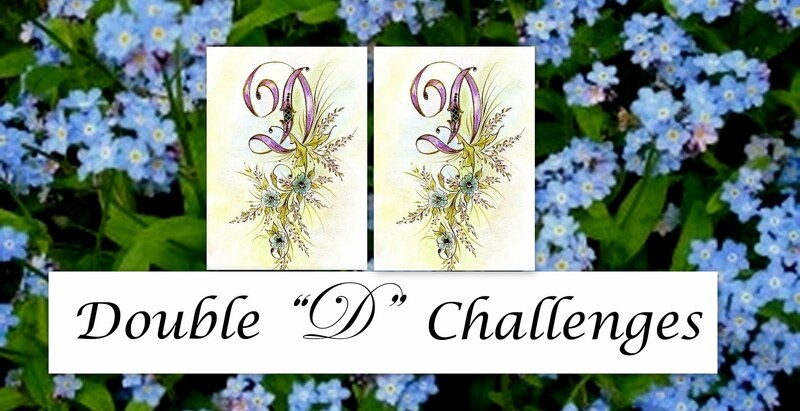 Double D Challenges: Theme is Anniversary/Blogaversary/Birthday. 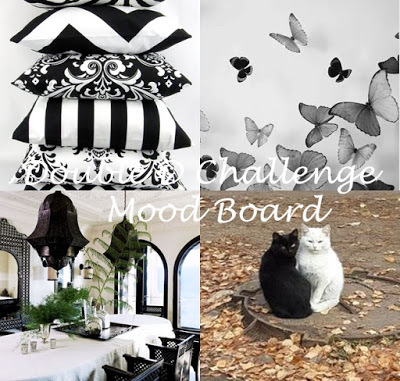 Was inspired by the black board, flowers and colors in the mood board below. Congrats on your 1st Anniversary. Hello! In my studio, I came across a forgotten never used stamp set from Inkadinkado ....even forgot where it came from. Probably part of a candy win. Thought it would great to use on a card for some challenges. 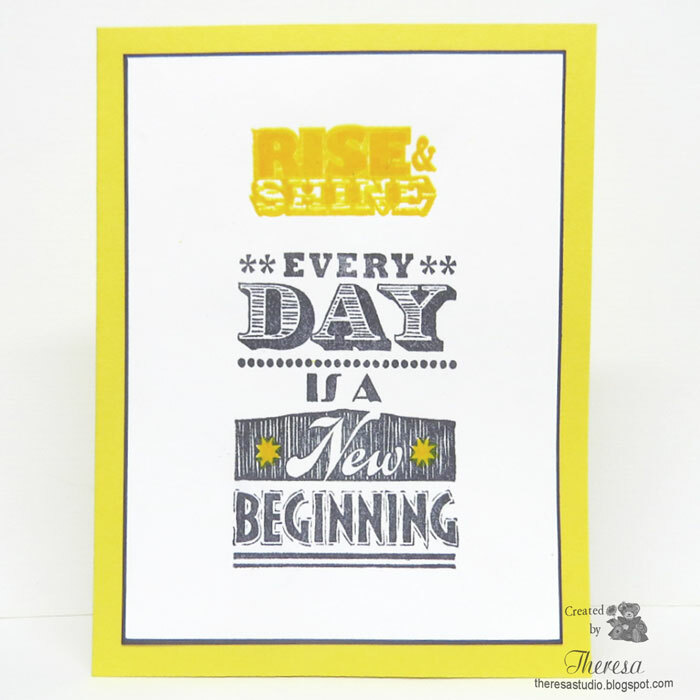 Stamped Rise and Shine with Yellow ink and then used Wow Yellow embossing powder to make pop. 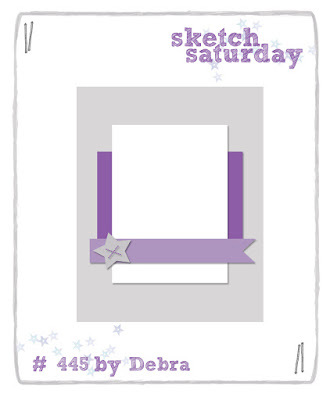 The other stamp was inked with Gina K Design Black ink. Added some of the Yellow EP to the stars. Simply edged the white panel with Black Copic and attached to a GKD Yellow CS. 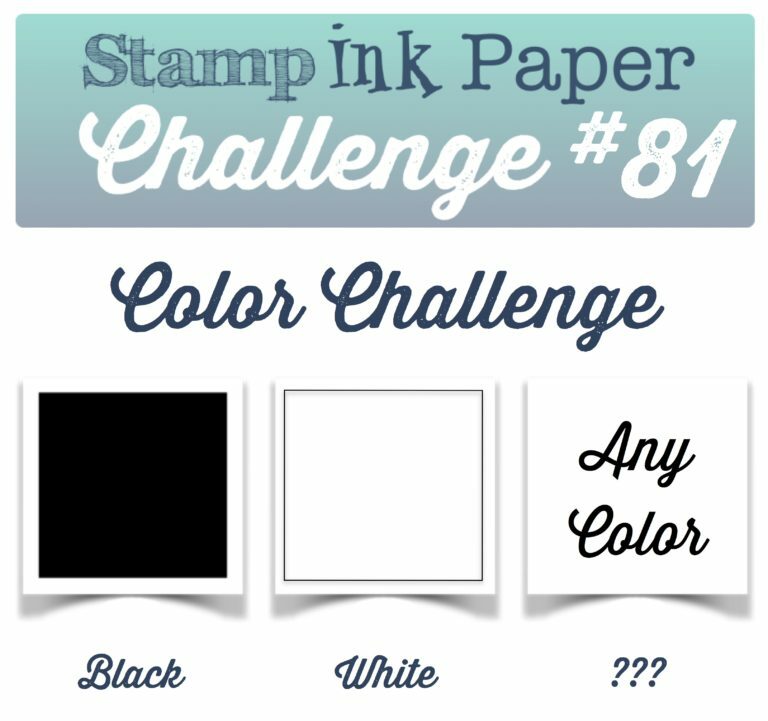 CAS on Sunday: Challenge #99, Black and white, with one color of your choice. Hello! 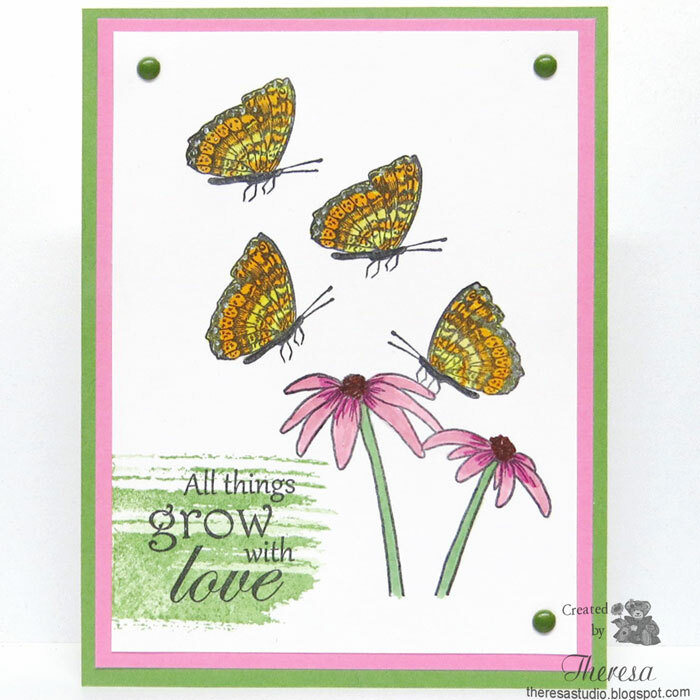 Thoughts of spring and butterflies inspired this card That I made for Stamp TV Mix It Up Monday challenge to choose a stamp to showcase THREE times on your card and I chose the butterfly stamp from GKD Birds & Blossoms set. 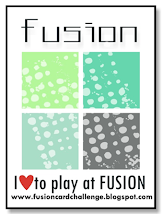 I stamped the image 3 times with Memento Tuxedo Black ink along with another image and sentiment from the same set. I colored with Copics and added a slash of Momento Green with a stamp from Tiny Textures. Used a GKD Green card base and a Pink mat. Finished with some green brads. Stamp TV: Mix It Up Monday "Third Time's the Charm"
Hello! I have several digital images from All Dressed Up that I have never used so I printed this one out for a challenge at Fab N Funky Little Girls but after making the card I realized I should have used a Little Girl image but I think these girls may be young enough to qualify. I decided to use pinks and aquas for my designs adding glitter to the heart and strip with glue and tape. I used Gary's Ultrafine Crystal Glitter. Added more sparkle to the "girls" with Sakura Clear Star pen and glitter pens. Finished with GKD Stamp in SU Taken with Teal ink. 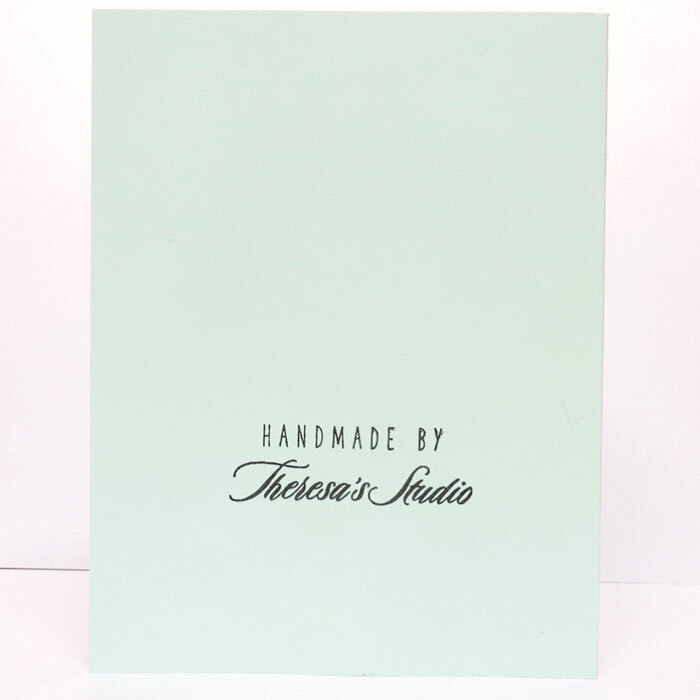 On the back of this card, I used my new stamp from BOSSYJOCIE Crafty Goods that I had custom made for my Studio. Check out her online store here. 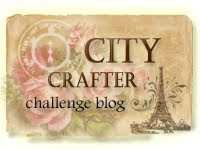 I discovered her on Jennifer McGuire's blog. 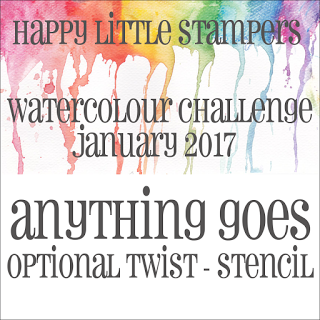 Fab 'n' Funky Challenges: Use Little Girls-(your card must include an image of a young girl). Welcome! 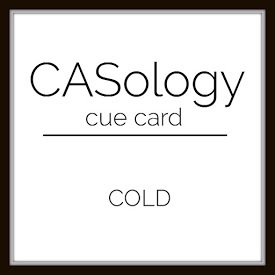 I am staying with a Cold theme in today's card. I stamped Repeat Impressions' Pine Forest on a Water Color panel with Distress Inks and used a water brush to color in details and sky. I used a Flourishes sentiment with another Distress Ink and added snow fall with pearl drops. I wanted my scene to reflect a snowfall that was just beginning. 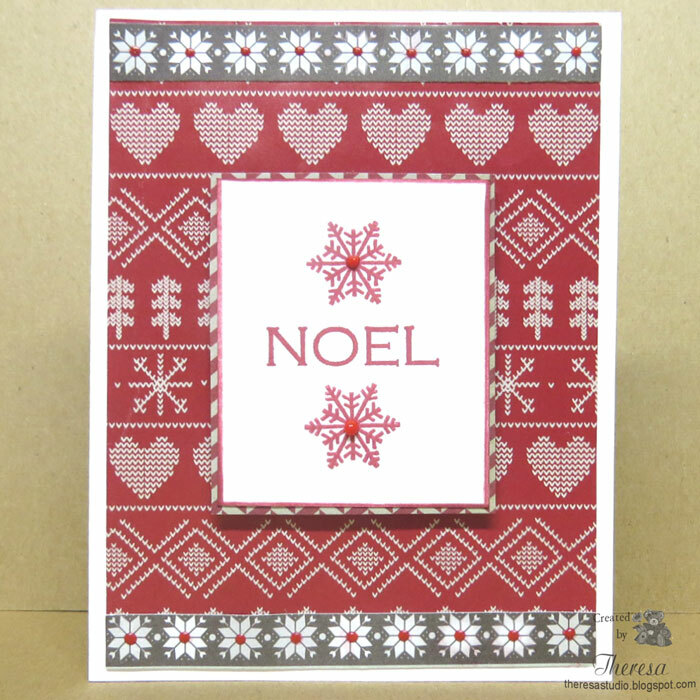 I die cut the image and placed on a card base embossed with a Darice Snowflake EF. The House That Stamps Built: DCC14 Challenge Winter, not Christmas. 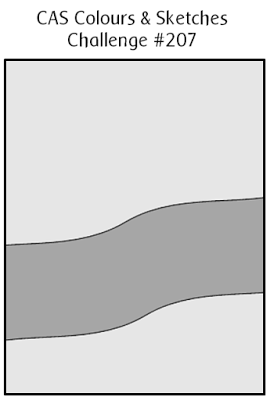 Second entry using Repeat Impressions stamp. Hello! Here in Ohio, it is very cold!! 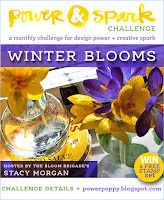 More reason to stay inside and make cards in my warm studio! I printed off a digital image, already colored, from Dearie Dolls....just love all her cute images. 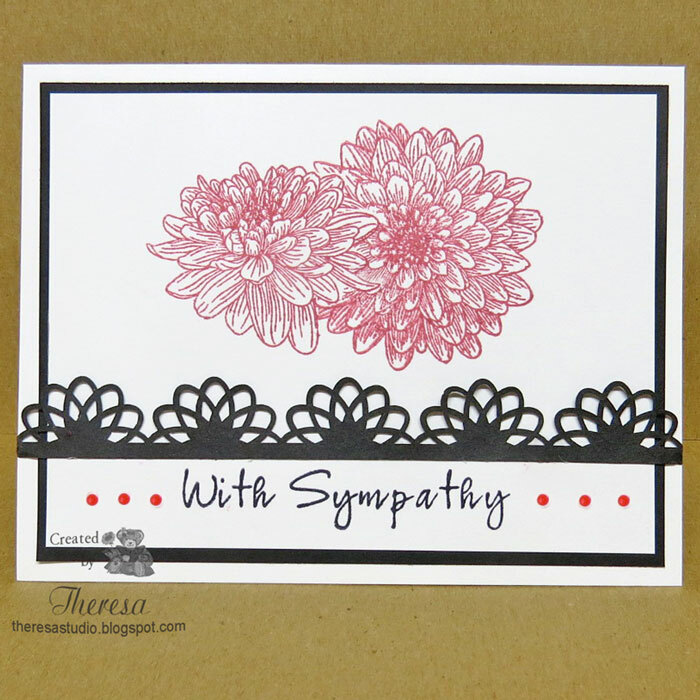 I placed the image on a mat of red CS and heat embossed a sentiment from Creative Clear stamps. I tried something new by embossing the front of my Blue card base with Cuttlebug EF Snowflakes using Versamark ink on the folder and then heat embossed with Snowflake Embossing Tinsel with glitter ( same as used on sentiment). 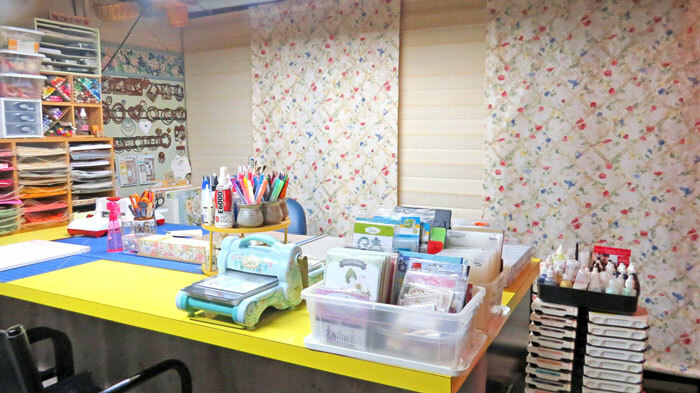 Of course I had glitter everywhere and I had just cleaned my studio. But I loved the cold, snowy effect that I achieved. I also added some of the tinsel to the image by using a Versamark pen on the snowflakes. Tip: To clean up the glitter, use a Swifter cloth to pick it up. 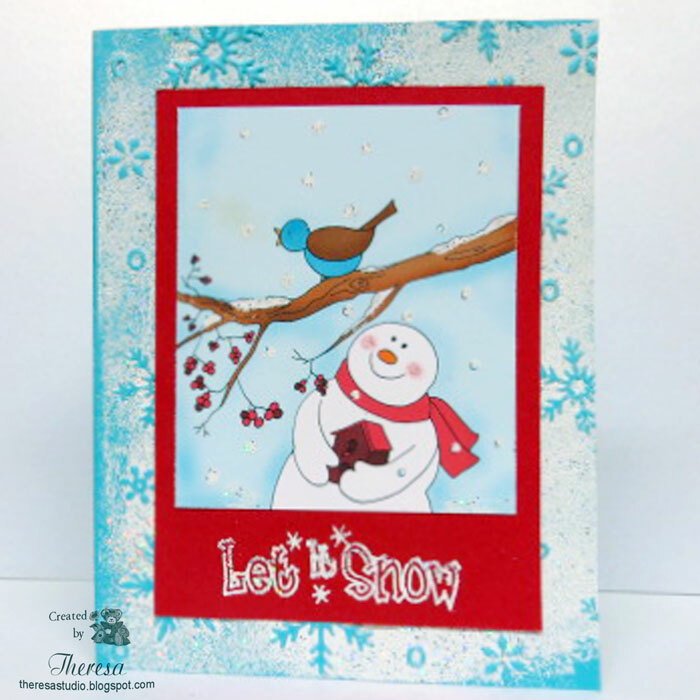 Cards In Envy: Snow Birds card challenge. Must have one bird on card. 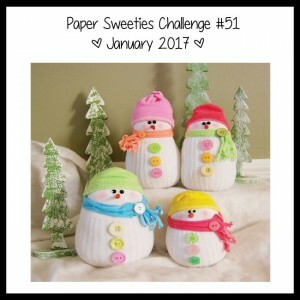 Paper Sweeties Challenge: January Photo Inspiration shown below. 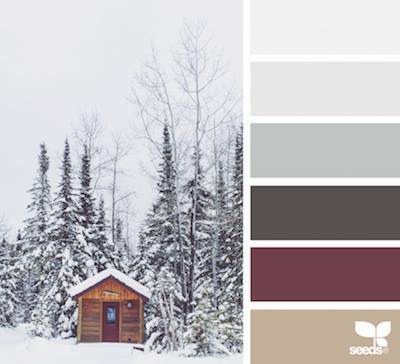 Inspired by the snowmen and bright colors. 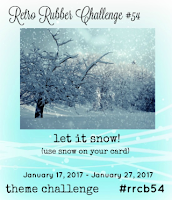 Tuesday Throwdown: #324 Winter Critters. My DH said the winter bird was Blue because of the cold. Sparkle N Sprinkle Creative Challenges: Theme is always Anything Goes: use loose glitter, embossing powder, and/or flocking. Used embossing powder that has glitter on background base, sentiment, and image.